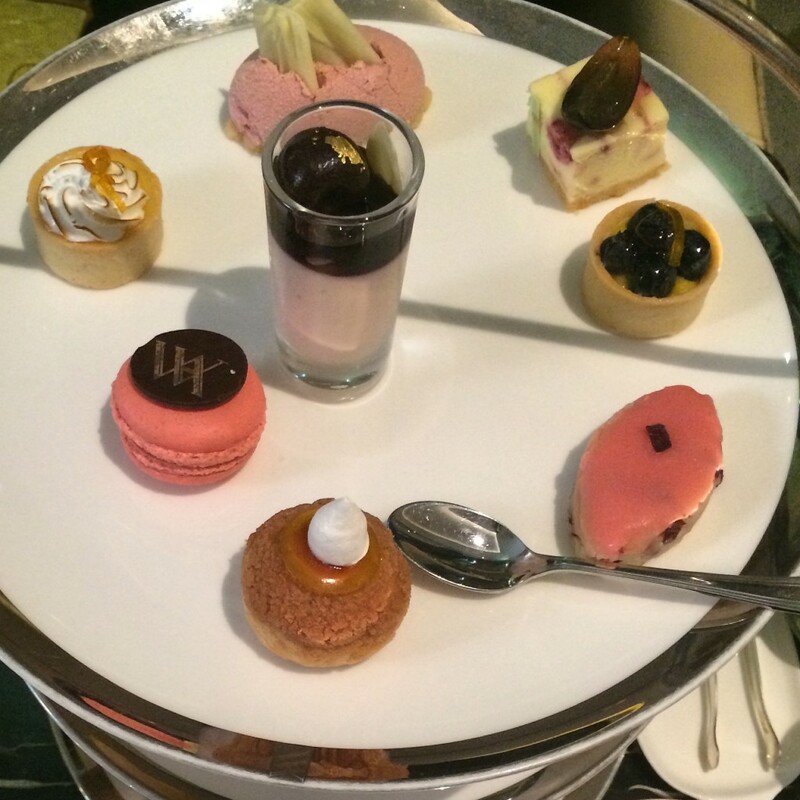 There’s one rule to having afternoon tea at Waldorf Astoria Shanghai on the Bund- don’t eat lunch prior. The excitement of being in this historic hotel may curb your hunger. Plus, you’ll need to save lots of room as this is one of the biggest portions I’ve seen of afternoon tea sets in Shanghai. Waldorf Astoria Shanghai on the Bund, is well on the Bund. 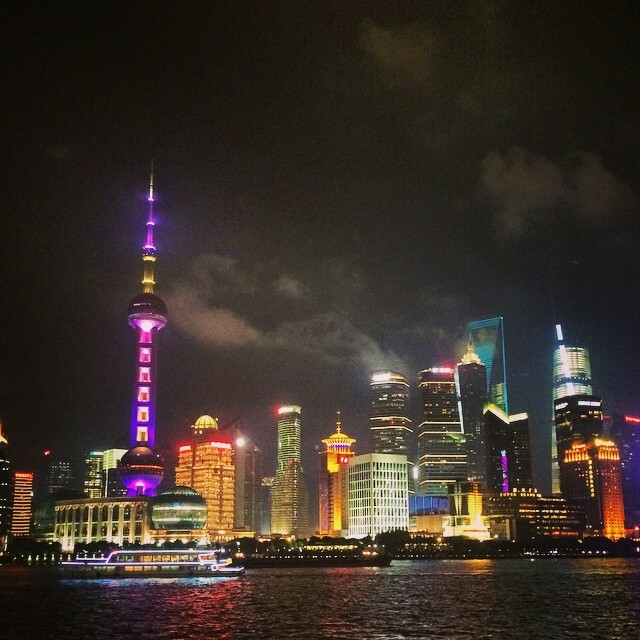 The Bund is the number one tourist destination in Shanghai. It’s a walkway along the Huangpu River which separates the historic area on the east of Shanghai called Puxi (where Waldorf Astoria Shanghai is located) and the business district in the west, Pudong. This is where you can see the three tallest buildings in Shanghai across the river. And on the Puxi side of the river are historic buildings including the Fairmont Peace Hotel and of course Waldorf Astoria Shanghai. Afternoon tea at Waldorf Astoria Shanghai is served at Peacock Alley. When arriving at the hotel from the front entrance facing the Bund, it’s a little confusing. You have to walk pretty far in and you wouldn’t even have guessed how big it is inside the building! Since the hotel is so long, on one side of a walkway to get to the lobby, is Peacock Alley. 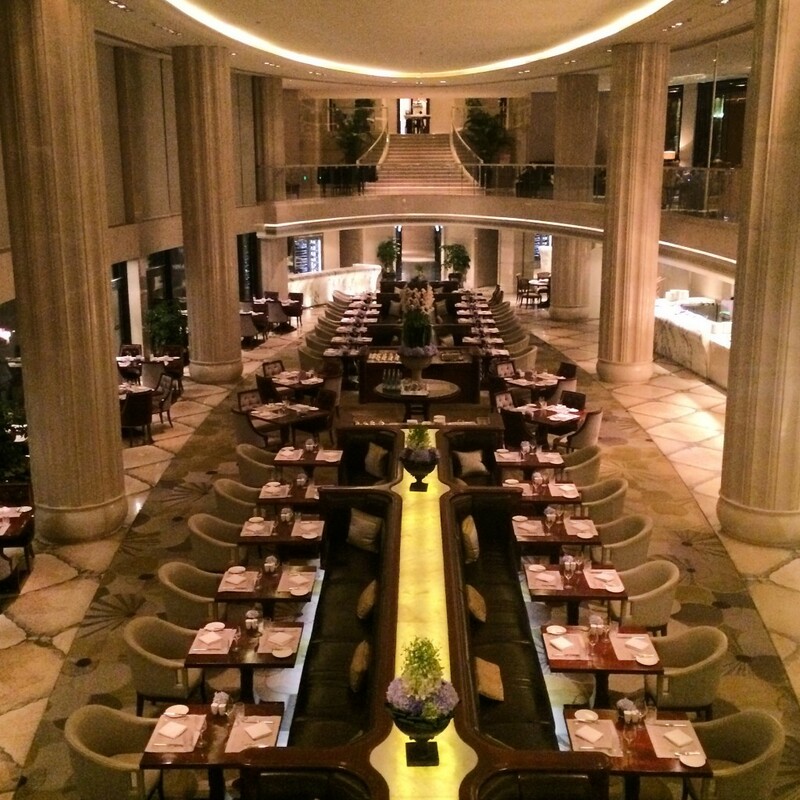 There are a few chairs that overlook a grand set up of giant pillars and another restaurant on the floor below. 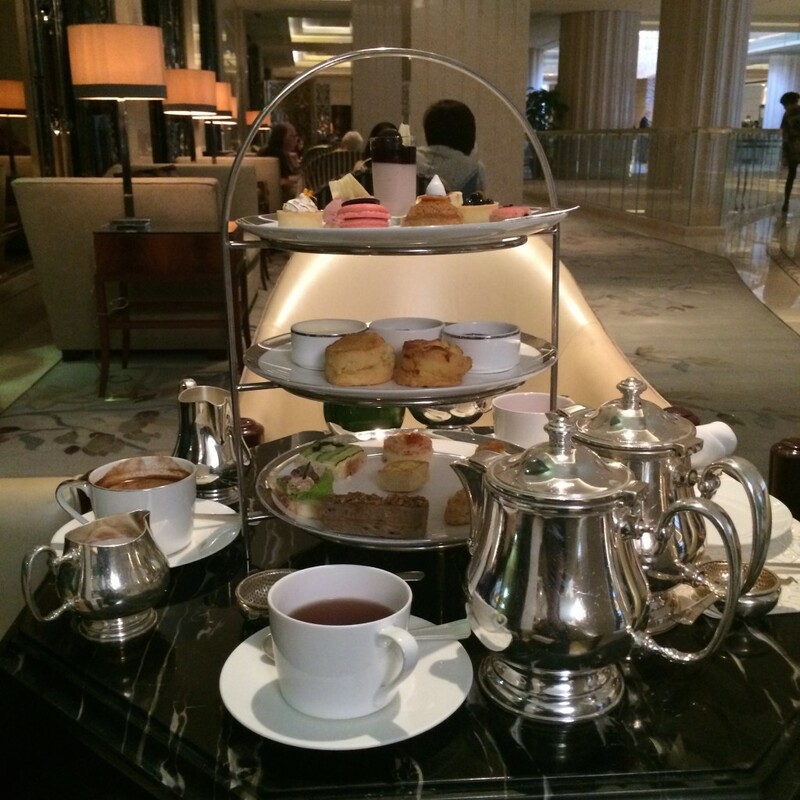 A setback about having afternoon tea at Waldorf Astoria Shanghai is because the hotel is famous, resulting in its popularity among frequent travelers and tourists, the hotel is busy. Meaning people are constantly walking past you as you have your tea. It’s not exactly the perfect environment for talking but rather for people watching as most of the seats face outwards towards the walkway. 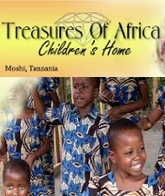 During my tea time, there were kids running around. Normally, the amount of people at afternoon tea makes the ambience lively but in this case, it was a bit too loud. Waldorf Astoria Shanghai does not have a unique tea blended just for the hotel. Since that’s usually what I’d pick, I instead asked the server for recommendations. She said fruity teas were a popular choice. So I ordered one that she pointed to, Roibosh & Lemon. Unfortunately I just could not make myself drink it. Thankfully, I told the same server and she was kind to let me choose another one where I chose a Chinese white tea, since I was in China. 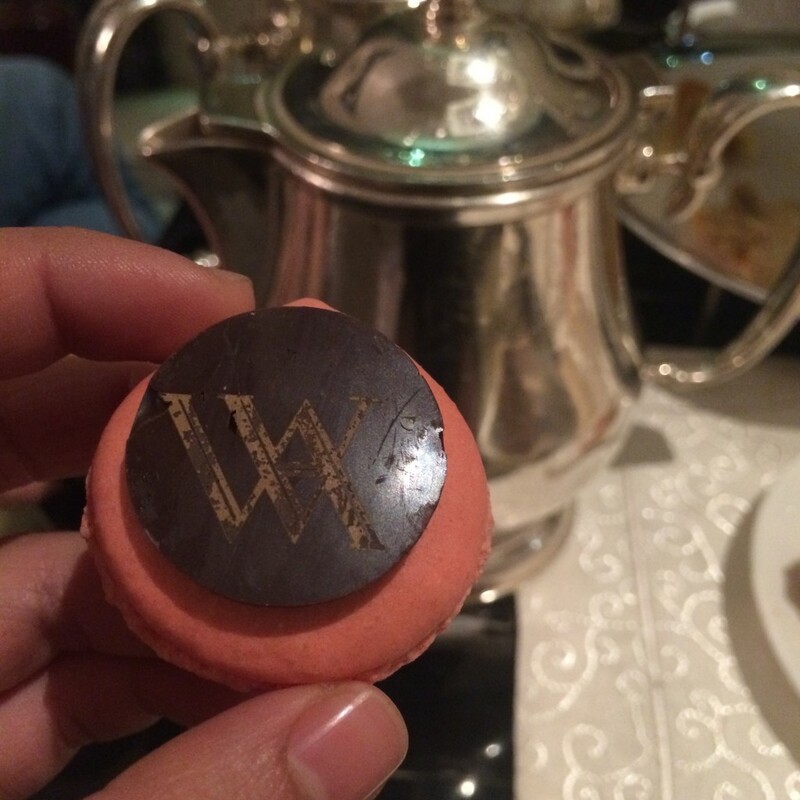 There is one package for afternoon tea at Waldorf Astoria Shanghai. Here’s how it works. If you have three people in your party, you have to buy three sets which includes the three tiered afternoon tea tray and tea. If you have five people, you must order five etc… meaning you can’t share. Lots of tiny finger foods including sandwiches, quiches and empanada like puff pastry- all made with quality ingredients. Interesting touches were added to the classics such as horseradish and a piece of seaweed on the cucumber and egg sandwich. 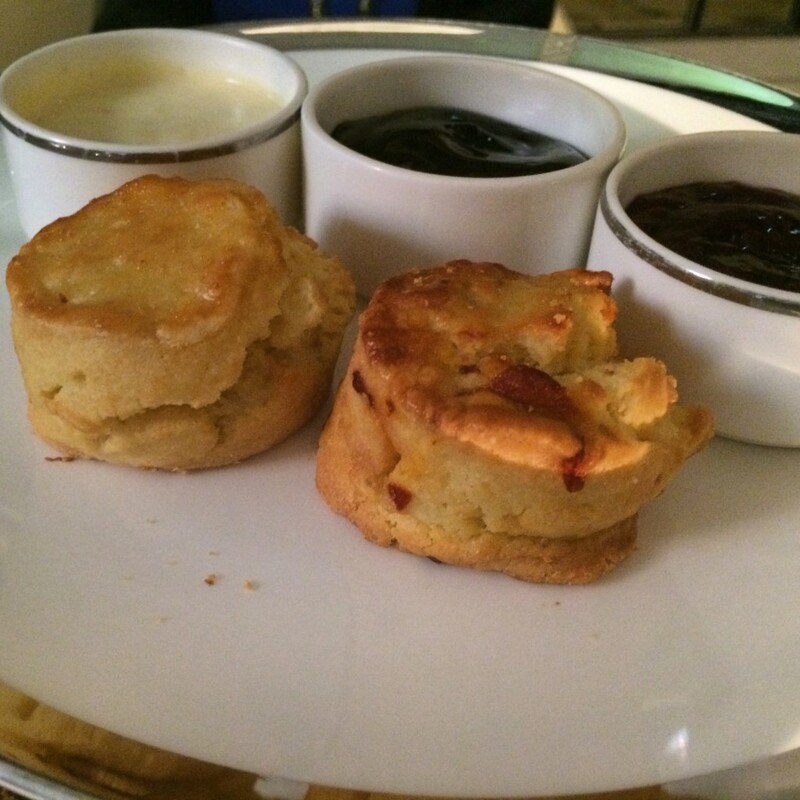 A warm plain scone and another with dried fruit came with cream and blueberry and raspberry jams. 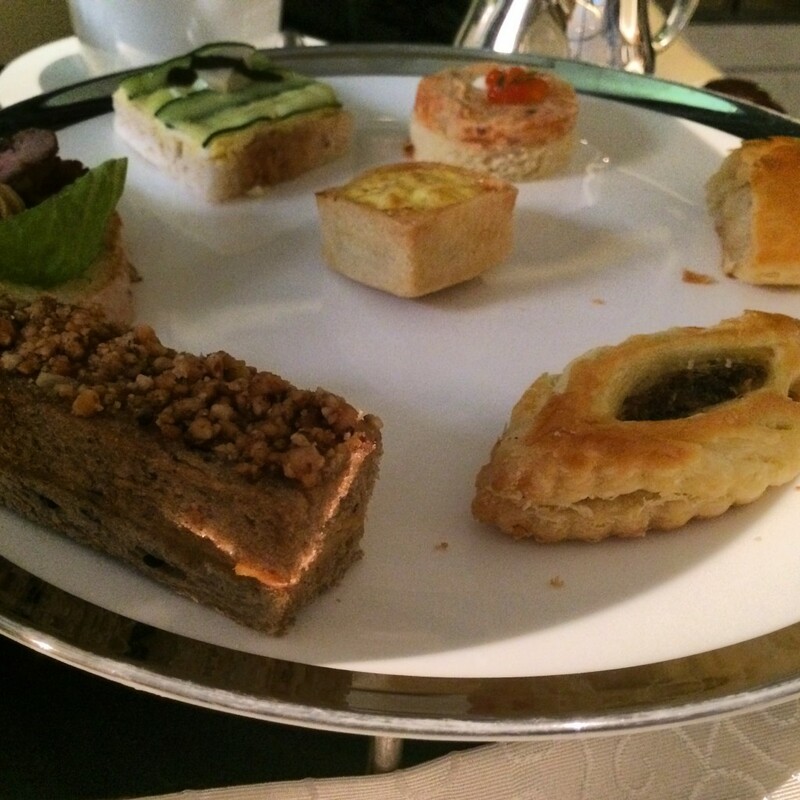 Overall, afternoon tea at Waldorf Astoria Shanghai uses high quality ingredients and offers a large variety for each set. Food is served on a traditional three tiered afternoon tray with all the same sized white plates decorated with gold rims. Plates are big as are the metal tea pots providing many cups of tea for the white tea cups and saucers. 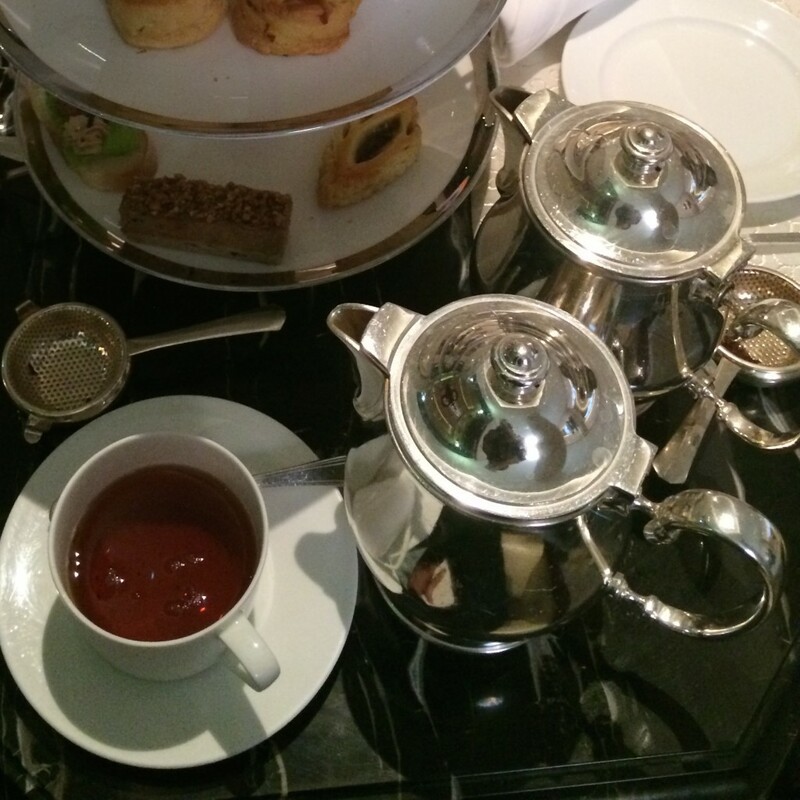 Tables are small, only allowing two afternoon tea sets. However there are a few bigger tables with couches. Staff were nice and ready to help. They made sure that hot water was always provided and I was especially pleased when they allowed me and were happy to change my tea since I didn’t like it. Yes. 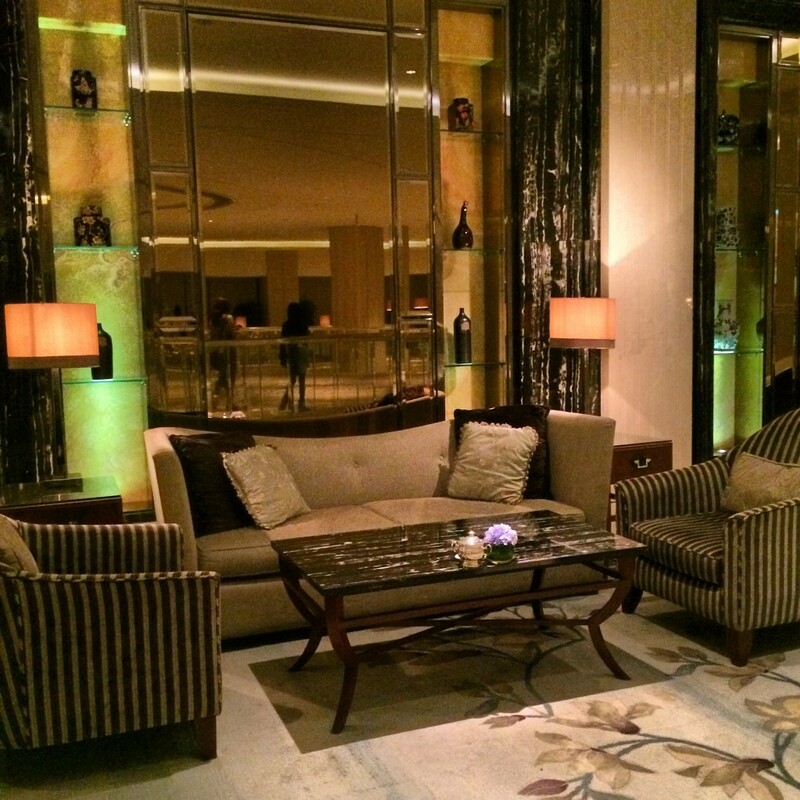 Free WiFi is available at the Waldorf Astoria Shanghai. Waldorf Astoria Shanghai on the Bund does not have its own Twitter, Facebook or Instagram accounts. However Waldorf Astoria does. Choose to have afternoon tea at Waldorf Astoria Shanghai for a late lunch as the portions are large with high quality and tasty food. It’s a classy place to splurge as it’s one of the most expensive places for afternoon tea in Shanghai, though the ambience is not the best for conversing. Also, during my visit there were ads all around the entrance for Haig Club Whisky. I later realized it was the company David Beckham advertises for. So he was actually in the hotel during my visit!